Recently a post about an online store on Apartment Therapy caught my eye. Apartment Therapy is an interesting site because it truly is directed to those that have apartments and to city living. But because apartments are often tiny and space awareness is always a plus, many of their ideas and posts relate to those of us that don't live in McMansions. We also don't aspire to living in McMansions. We like the small but beautiful approach to living even if it is in the country. 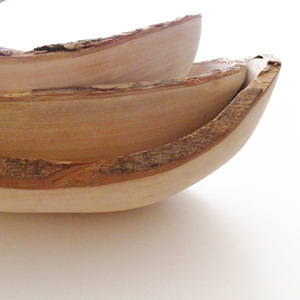 It is also a greener approach in keeping the carbon foot print as small as possible. But when push comes to shove it is all about vacuuming. I swear people that live in McMansions need ride-on vacuum cleaners! Nuff said- back to the eye-catching online store Deep Dark Africa. 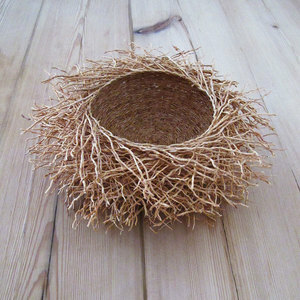 I was stopped by the beautiful and minimal photography of these very natural handcrafted items. That made me look. I then read some of the comments posted. So many found the name suspect. 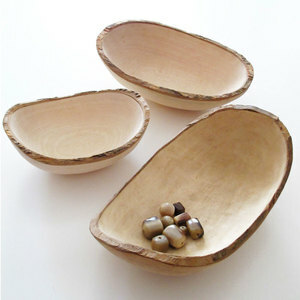 I just liked the natural simplicity of the products. 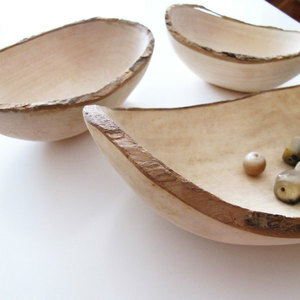 They reflect my design soft spots- wood, natural, handmade.